With spring being sprung so is our call for volunteers on the refuge! 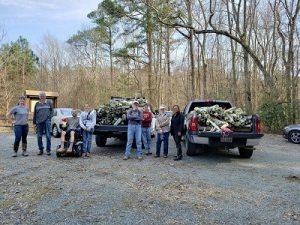 Come out to Rappahannock River Valley NWR to participate in habitat management and contribute to the conservation of our native NNK wildlife. Directions: From Port Royal, (route 17 north) , Route 301 north for approximately 1.9 miles. Turn left on Route 607 (Port Conway Road) for about .9 miles. Turn left on Millbank Road. Follow the road for about .9 miles to Styer/Bishop Tract. We will have U> S. Fish and Wildlife vehicles at the parking area on the side of the road.From King George, take Route 301 south and turn right on Route 607 then follow the above directions. Description: Help us save our trees that are being suffocated by kudzu by cutting the vines off them. We will be using shears and loppers to cut the vines and free our trees. This is part of the three step plan to get rid of kidzu where we cut the vines in the spring, spray the leaves with herbicide in the summer and occasionally burn it in the fall. What to bring: Water, long pants, long sleeves and any shearing tools and work gloves that you have. We will also provide tools, gloves and safety glasses. Work the booth for as long as you can. Pick your time. The ideal is to work in 4 hour increments, but any amount of time would be appreciated. The Friends will purchase a meal for volunteers who work 4 hours or more. The Refuge and Friends will have displays for the public to see, such as our Bald Eagle. 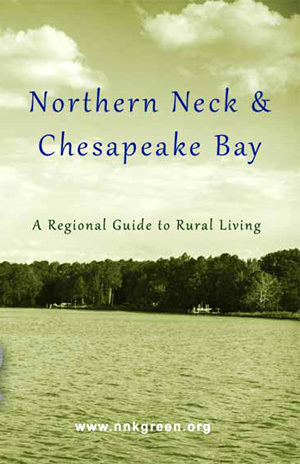 Hand out brochures and generally make the public aware of the Refuge and the units that are open to the public. There will always be at least 2 people in the booths. If you are new to working the booths, we will have a packet of information that will help you with the information needed as well as other people with experience to work with you. Description: We will be building a fence around the area using 4 inch gap chicken wire. Requirements: Wear long sleeves, long pants and sturdy shoes. We will provide water, granola bars, gloves and tools. Contact: Lauren Cruz, Refuge Biologist at Lauren_Cruz@fws.gov to let us know you can help or to ask any questions.